I found this guide informative and essential for parents with children growing up in a world dominated by digital technology. The author wrote this book for two reasons: as a supplement to a novel based on true experience and as a practical guide to help parents navigate the rapidly changing world of the internet in which their children engage daily. Muthiah wants to protect children from those who use the internet to engage in crimes that prey on children. 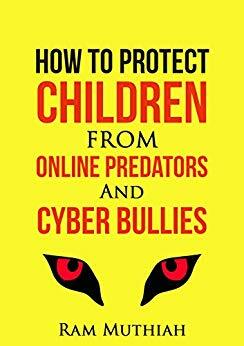 The author’s opinion is that the most important thing parents can do is to gain the trust of their children so that they can engage in honest conversations about internet abuses. I would urge parents, teachers, and all those who work with children to keep this book on their shelf as valuable reference material.